I learned so much about the Spanish Civil War from this historical novel in the context of a grandmother who explains her involvement to her granddaughter sixty years later. This book is very thoughtful about subjects involving religion, family, politics, and aging, and it is very timely. At nineteen, Marian Taylor cut herself off from her wealthy, conservative Irish Catholic family and left America to volunteer in the Spanish Civil War—an experience she has always kept to herself. Now in her nineties and diagnosed with cancer, Marian finally shares what happened to her during those years with her granddaughter Amelia, a young woman of good heart but only a vague notion of life’s purpose. Marian’s secret history—of personal and ethical challenges nearly unthinkable to Amelia’s generation, of the unexpected gifts of true love and true friendship—compels Amelia to make her own journey to Spain to reconcile her grandmother’s past with her own uncertain future. 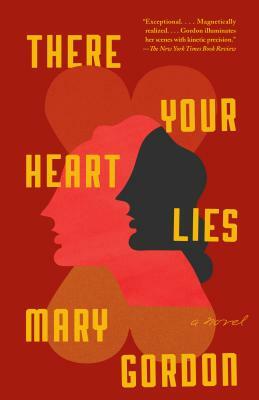 Moving and deeply felt, There Your Heart Lies explores how character is forged in a particular moment in history—and passed down through generations.